Snowflakes are the most delicate and beautiful thing about winter. Yet catching and viewing one snowflake is fleeting because it melts – as soon as it touches your glove. 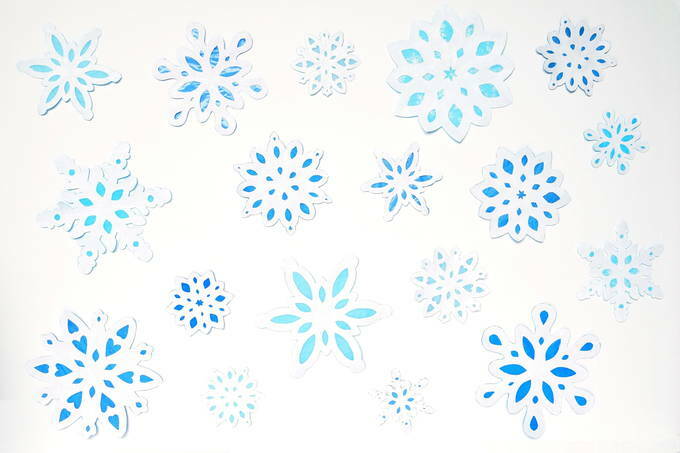 This window snowflake project will help you bring the beauty of snow inside (but not the cold!). As a kid I loved to make snowflakes. I folded squares of paper and randomly cut into the triangle – hoping it would make a nice design. I still love cutting snowflakes but I now know how to create beautiful designs. Here I’ll show you how to turn snowflake designs (like my Elsa Series) into a beautiful window display. Colored tissue makes them look like they’re stained glass. And they look elegant with different shades of blue. 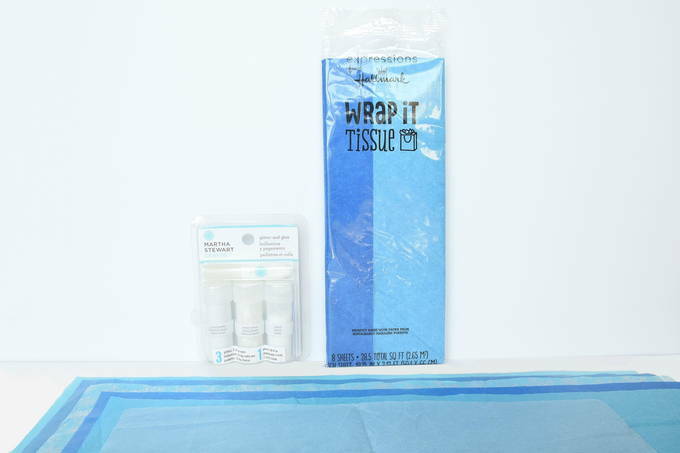 Here are the supplies you’ll need. I bought tissue paper in the same family of blue (sky blue, light turquoise, and royal blue). But tissue papers you may have at home would work. 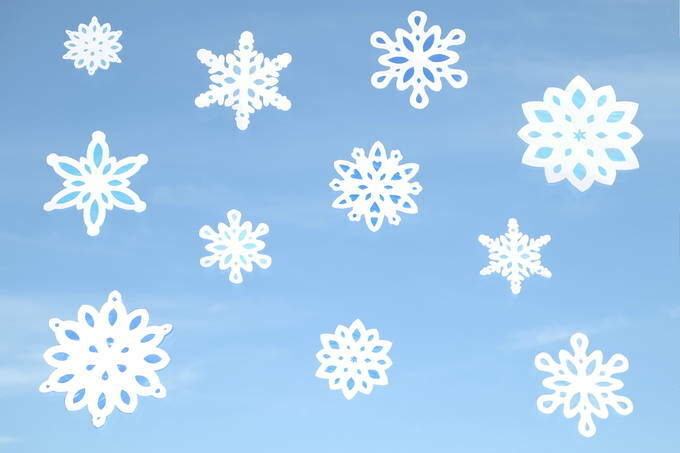 For your child, make their favorite color snowflakes to hang on a window. For a girls room, pink and purple would look nice. Or you could change the paper colors and make rainbow snowflakes. I reduced each of my patterns into five smaller sizes. They range from 3 to 6 inches wide. So you may want to enlarge them. You fold and cut them, glue them to the papers, and add glitter. Then attach them to any window. They could be hung like a garland. On a mirror would be beautiful as well. You can make them all from one pattern, choose your favorites, or make your own. I hung these snowflakes in a window by our dining room table. It’s a beautiful thing to look at the window and see them. When winter is over, and it’s time to take them down – we won’t miss the cold weather. But we’ll miss our colorful snowflakes.